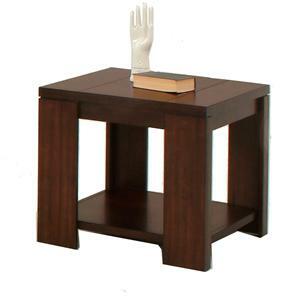 With an unique and artful design, this end table is sure to provide character to your living room decor. 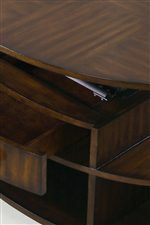 The piece carries a dark cherry and birch finish that adds distinction to the overall look. In addition, the two layers of shelves are wonderful for displaying books, decorative vases and bowls. There will be plenty to be pleased about with this oval end table in your home. 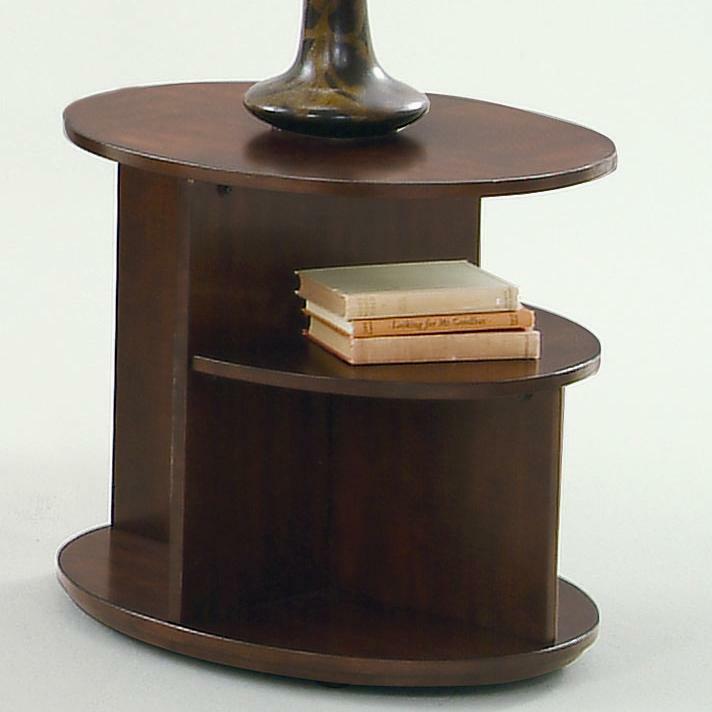 The Metropolitan Oval End Table by Progressive Furniture at Northeast Factory Direct in the Cleveland, Eastlake, Westlake, Mentor, Medina, Macedonia, Ohio area. Product availability may vary. Contact us for the most current availability on this product. There will be plenty of modern appeal in your living room with help from the Metropolitan collection. The occasional pieces each carry a dark cherry and birch finish that adds distinction to the overall look. In addition, the collection's unique designs provide a layer of function with a lift-top cocktail table and tiered shelf end table while the various storage space is wonderful for keeping books, magazines, remote controls, framed photos, decorative vases and decks of cards. Interesting and useful, the Metropolitan collection is sure to bring contemporary style into your home. The Metropolitan collection is a great option if you are looking for Contemporary furniture in the Cleveland, Eastlake, Westlake, Mentor, Medina, Macedonia, Ohio area. Browse other items in the Metropolitan collection from Northeast Factory Direct in the Cleveland, Eastlake, Westlake, Mentor, Medina, Macedonia, Ohio area.